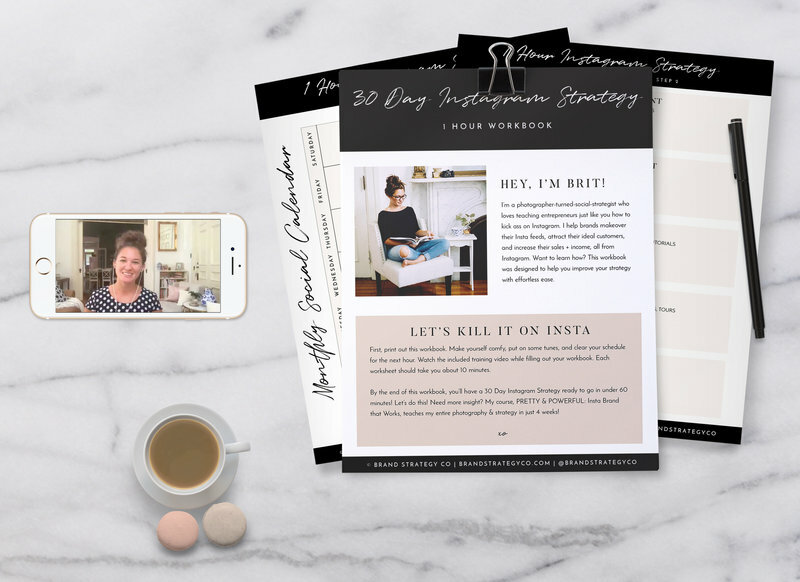 Simple Blueprint for a Killer Instagram Profile - Brand Strategy Co.Brand Strategy Co. Upgrading your Instagram profile is extremely beneficial for a number of reasons. For one, it’s the first impression that new visitors are getting when they land on your profile. It’s the introduction to your brand, and you want those first time visitors to hit that “Follow” button asap. 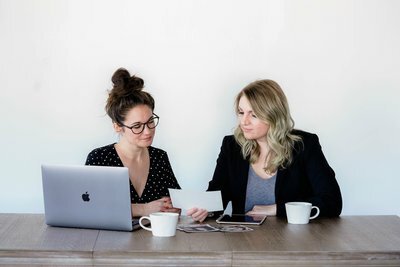 Your profile has the ability to attract (or dispel) your dream tribe, connect with your audience, drive traffic to your website, and so much more. Need to uplevel your profile? 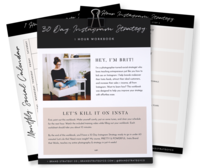 Here is my simple blueprint for creating a KILLER Instagram profile. Before you start posting on Instagram, you need to what the PURPOSE of being on Instagram is for your business. Do you want to increase brand awareness? Do you need to generate new clients? Are you yearning for more product sales? Once you know what the goal of Instagram is, you can plan your content according. TIP: Your WHAT should be your CTA (call-to-action) in your Instagram bio. Our WHAT is currently getting new client leads, so the CTA in our bio is to sign up for a free Instagram audit. Here is a quick rundown of Instagram profile best practices. Use your IG name with SEO best practices. Example: I want to be found on Instagram for “Instagram Strategy” & “Instagram Photos”, so my IG Name is not “Brand Strategy Co.” or “Brit Chandler”, but “Insta Strategy & Photos”. Your profile picture should be professional and consistent across all platforms. Please don’t use a logo. People want to see the face behind the brand on Instagram. Every Instagram post should include three important elements. Eye catching photos or graphics. There are millions of users on Instagram. What is going to make your content stand out? It certainly won’t be crappy photos. Value-adding caption. Either entertain, educate, or inspire. A call-to-action. Ask for engagement, click the link in bio, buy the product, sign up for our email list, visit the website, read the blog. Your Instagram Story Highlights section is the first thing your new visitors will likely interact with, after reading your bio. You want to highlight the best parts of your brand intentional. To keep yourself sane, I highly recommend a weekly content calendar. The other HUGE gamechanger is having a photo bank of edited and ready-to-post images. If you need help filling up your bank with brand & product images, we gotchu. And finally, save time by scheduling your Instagram content in advanced. We love Planoly & Later.